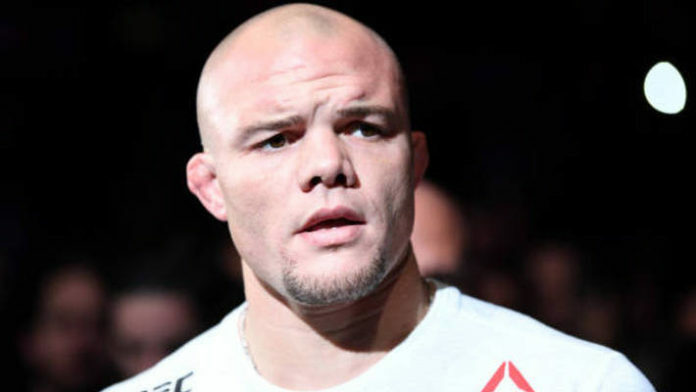 Anthony Smith thinks he has what it takes to defeat Jon Jones. “Bones” has never legitimately lost in mixed martial arts (MMA) competition. Instead, he has taken out the likes of Daniel Cormier, Alexander Gustafsson, Ovince Saint Preux, and many more. At 31-years-old, Jones still looks as dominant as ever. But despite his dominance, challengers still continue to rise. The latest being Anthony “Lionheart” Smith. The Texan has been extremely impressive, picking up stoppage victories over Rashad Evans and Volkan Oezdemir. Now, he’s calling out Jon Jones for the next title opportunity, and just might get it. “I think it’s goddamn amazing that all these people are assuming that if me and Jon Jones fight, he’s going to get me out of there in one round,” said Smith. “He doesn’t hit any harder than (Volkan) Oezdemir and Hector Lombard. He’s not any better of a wrestler, for the most part, of guys that I’ve fought. What do you think about Smith’s reaction to being counted out against Jones?